A resistance training, cardio training and nutrition plan will be developed to help you meet your specific goals. You will learn new and innovative ways to work out, using equipment like PowerPlate and Purmotion for maximum results. 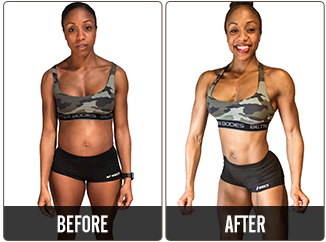 Receive full access to your own personalized nutrition and workout plan that you can log into online at home or the gym. An assessment completed by your Personal Trainer to determine your strengths and areas of improvement as well as identify existing injuries. 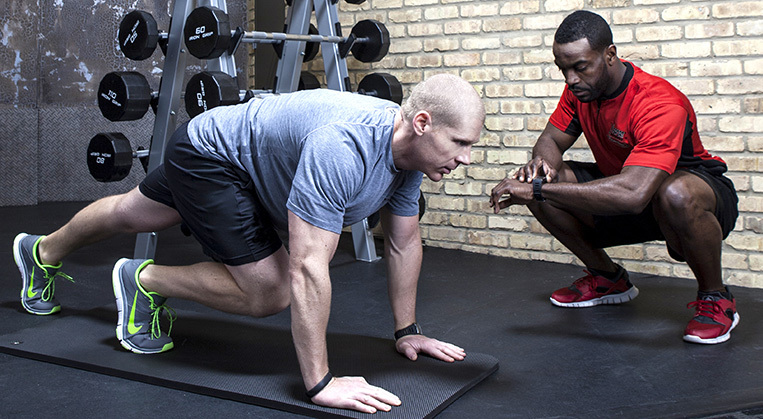 Personal Training will help you identify & set specific goals and establish a personalized training program to attain them. 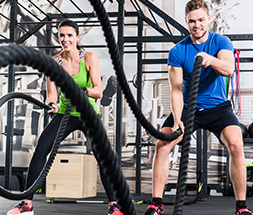 The personal attention you get with a personal trainer, combined with a program designed to meet your needs, offers you a wonderful way to set your goals and stay motivated. 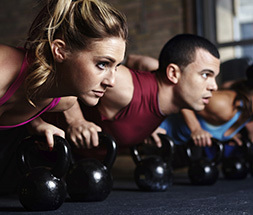 What is Included with Personal Training? Includes information on meal planning & supplements to help you meet your needs and attain your goals. *Some restrictions apply. 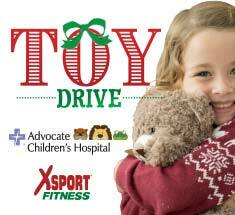 Valid for XSport Fitness members only. 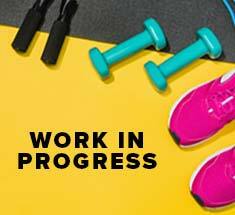 See your fitness manager and digital registration for details of registration, completing the challenge, XSport Personal Training & 30-Day Challenge Supplement purchase requirements, prize description and other requirements. †$5,000 Grand Prize Packs are awarded based on a companywide competition. A total of 4, $5,000 prize packs will be issued. *Some restrictions apply. Valid for XSport Fitness members only. See your fitness manager and digital registration for details of registration, completing the challenge, XSport Personal Training & 30-Day Challenge Supplement purchase requirements, prize description and other requirements. The Conquer Your Resolutions 30-Day Challenge requirements include without limitation: Member must complete registration between 1.1.19 & 1.31.19, then check into an XSport gym for at least 16 workouts, complete 4 one-on-one Personal Training sessions, and purchase 2 30-day supply of supplements at XSport Fitness, all within 30 days of member’s registration. †$5,000 Grand Prizes are awarded based on a companywide competition. A total of 4, $5,000 prizes will be issued. XSport Fitness completely changed the game for me. I started off with XSport Fitness Niles as a chubby little 16 year old kid. Over the passed 6 years I have changed my outlook on life. Because of XSport Fitness and the amazing trainers and staff, I was put in a postion to transform my life for the better. XSport is the place to go for health improvement. My Traniner Ovi is awesome, I was very motivated by him. All the staff are very nice and friendly. This is my first challenge, but I had great experience, and I am very satisfied with the results. Thank you XSport! Jumping into a new lifestyle wouldn't have been possible without the help of XSport! The staff was amazing! They kept me on my toes with new and exciting workouts, recommended great supplements, and kept me motivated! Variety of gym equipment, knowledge, and their expertise takes them to the next level! "I’m fit, I’m confident and that confidence has transcended into all areas of my life. Thanks XSport!" When life knocks you down and you want to lay there but destiny comes, calls your name, picks you up, pushing you forward and you have no choice but to keep moving. That’s how things begun for me entering the 2018 Get Fit Challenge. Shortly after I competed in the 2017 Challenge I had chest pain. I visited the doctor and found out that I had gynecomastia. The severity of my gynecomastia would require a surgery that cost $18,000. This news depressed me. I slipped back into my old habits. I began eating more, I stopped exercising and my weight sky rocketed. I simply gave up. Dwight (training manager) texted me informing me of the 2017 Challenge results, it read, “Myles it’s Dwight! The results are in! Regardless I’m happy for you and your progress! You definitely killed it in my eyes. Keep your head up!” That meant a lot. Dwight asked me to compete again. I initially declined, because at that time I was working 2 jobs at 75 hours weekly and saving money for surgery. Dwight explained that the contest ends on my birthday May 11th. I figured that would be a great present to myself, so I signed up. I met my trainer Sterling Moss. 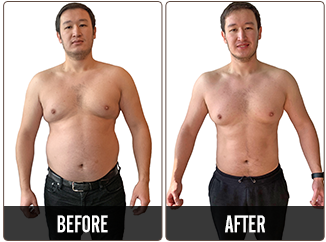 Initially I felt uncomfortable around all these fit people and was worried my gynecomastia would hinder my success by showing up in my before and after pictures but Sterling kept me focused on winning. “The race goes to the person that endures.” Sterling would tell me over and over again. The Plan was to train with Sterling twice weekly, do cardio and weight lifting on the other days. With Sterling’s guidance and my mom preparing my meals I had an excellent support team. My daily meals consisted of fish, vegetables, water, Protein, BCAA’s, L-Carnitine and CLA. The supplements, my diet and exercise set the stage for my body to burn fat and build lean muscle. The goal was to lose 40 pounds. The fat started falling off and everyone was noticing. I went above and beyond. Sterling trained me for 1 hour and I continued on by myself for 2 hours. I purchased a stand-up desk and an office elliptical machine to exercise while working. My heart was in it, passion ran through me and I was determined. I’ve lost 70 pounds, I’m able to run up the stairs, play basketball and I’m more confident meeting clients thanks to my fitness changes. It made a huge difference in my life. When you endure life yields positive changes. My body fat is now 6.5%, The same fit people who made me feel uncomfortable initially now ask for advice. I enjoy helping others. In the next Get Fit Challenge I’m considering sponsoring someone to help change their life. My goals are getting my business profitable and getting surgery. Winning the grand prize will help me achieve those goals. Whatever the results are I’m a winner in my eyes. I’m grateful for the Get Fit Challenge. I’m fit, I’m confident and that confidence has transcended into all areas of my life. Thanks XSport! "I’ve saved my own life through the Challenge so that I can continue to save the lives of others. " I’ve just gotten the call that a man had gone into cardiac arrest. My partner and I speed over to the scene. Loaded with pounds of equipment, we race up the stairs of the building. Except I’m too out of shape to move as quickly as I needed. Instead, I have to stop halfway to catch my breath and use my inhaler – something that could jeopardize the life I am trying to save. As a paramedic with the Chicago Fire Department, my job is to respond to such emergencies. Yet, before the Get Fit Challenge, I was a size 18, with high cholesterol, a lung peak flow of 250, and my waist was 48 inches. When coming to help someone in a life or death crisis, it’s not reassuring to see your paramedic struggling to run to your aid. I knew something had to change. I had tried other forms of exercise but I could never find the right program. 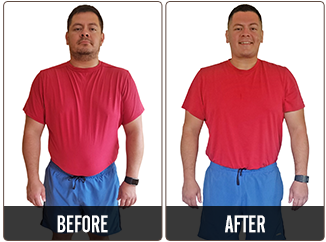 It was the Get Fit Challenge that gave me the motivation and the support to achieve tangible results. I had chronic inflammation, due to obesity which caused me to become chronically ill. My doctor prescribed an anti-inflammatory diet. But I knew I could do more. I decided that, in order to regain my life back, I needed to start exercising. I did and my trainer suggested the Get Fit Challenge. I found the Challenge exciting because it kept me motivated and the XSport weekly emails gave me the tools I needed to succeed. 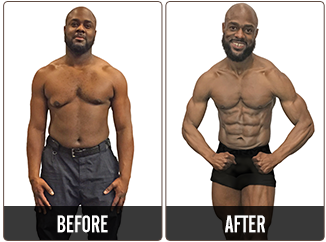 My trainer (Lamar Alston) was able to tailor a fitness plan to my lifestyle and profession. He kept in constant contact to keep me motivated suggested products and vitamins I bought at the gym and was my advocate throughout the process. He suggested I take X-IT Classes which were incredible helpful (thanks to Beth Narvaez) in conjunction with the training sessions we did. I rounded out the plan with a Self Spa membership. This journey changed my life. Today, just 14 weeks later, I am a size 8, my waist is 29 inches, I’ve lost 25% of my body weight. My cholesterol is down, in addition, I no longer need inhalers, as my lung peak flow is 600. While these changes have given me a new sense of confidence in myself, I am even more moved to see how my dedication has inspired my entire paramedic team to get healthy and lose weight. I have also seen immediate results in my ability to save those who need help. On May 23rd, I will be receiving and award from the City of Chicago Fire Department for saving a 3yr old who had stopped breathing. Saving his life would not have happened if I was still overweight. My ability to run up those stairs while carrying 70-90 pounds of equipment and keep level –headed during a stressful situation is a testament to the improvement of my fitness level. The benefits of the Get Fit Challenge go beyond my own health to the entire Chicago community, whom I am lucky enough to serve as a paramedic. That 3yr old who couldn’t breathe is living because eI could breathe, and that in itself, has made this entire journey worthwhile. I’ve saved my own life through the Challenge so that I can continue to save the lives of others. 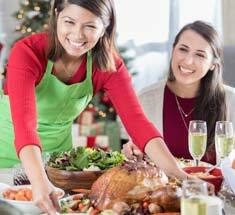 "I am more engaged with my family and making memories. 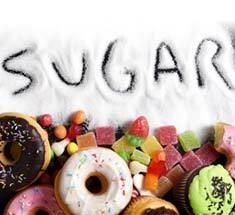 I even inspired co-workers to be healthier..."
This is where Andrius comes into the picture. Right away I knew Andrius was the perfect trainer for me because he competes and I always had an interest in bodybuilding (watching videos of Arnold and Flex). This was my chance to train like a bodybuilder! 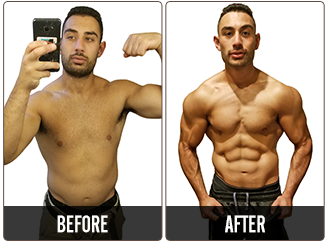 He setup my meal, workout and supplement plans. I purchased ON L-Carnitine to support fat loss and Opti-Men multivitamins for general health. I went home and described to my wife that I would like my food weighed. Let me tell you, she loved that! She cooks by feel and doesn’t even like to measure for baking. I made a deal with her. I would do the grocery shopping. Let the journey begin! It started with waking up and 4:30am to eat, train, drop off my oldest at school, all before work. Workout out early gave me energy for the whole day. I utilized my Polar watch to monitor heartrate during cardio, to ensure I stayed in the fat burning zone. Would you know it, after the first week I was down 5 lbs! My confidence skyrocketed! I thought to myself, “I can really do this.” Week after week Andrius monitored my weight, made necessary adjustments and was always available for support. I made sacrifices, such as bringing my meals and refusing drinks at social gatherings, but in the end, I achieved my goals. Now I am < 200lbs, my blood pressure is normal and I can jump on the trampoline! I am more engaged with my family and making memories. I even inspired co-workers to be healthier and bring their lunches. At the same time, I am now both less and more of a man after this journey thanks to my family’s and Andrius’ support. 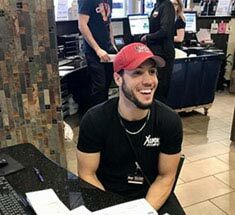 "Welcome to Cheers - I mean XSport Fitness...Where everyone knows your name and wants YOU to succeed. " So there I was in the Alexandria XSport Fitness feeling fat, discouraged and frumpy staring at a huge sign in the doorway advertising the winners with their beautiful bodies of the 2017 XSport Fitness Get Fit Challenge. I thought to myself maybe I could do this. So therein that moment the process began. I was unsure if I could sign up or better yet even if I had what it took to finish the challenge of 100 days. I first came to XSport Fitness as I was desperate. I needed a gym that had all of the equipment readily available with no wait times and I found that plus all of the amenities of a Salon and Spa. But the best part of the gym was when I met Sam S. the Training Manager. When I signed up for the membership I told the manager exactly what I needed and expected and that information was relayed. Sam told me about his experience, the training sessions, and how the trainers worked. I told him instantly I only wanted to him to train me. He danced around the commitment and said that he was the manager and he had great trainers. Again I said no I only wanted him to train me, but he already knew the type of client I was going to become. Sam and I started training sessions and I asked about the Get Fit challenge. He encouraged me to sign up and weigh in. I was nervous to get on the scale, but horrified to see the results of 164.4. What had I done to my body? Sam took his time with me and explained the challenge. We talked about the supplements that I was going to take that included a mandatory multi-vitamin. Same told me the benefits of each supplement and that I would need to replace different supplements as the competition continued. 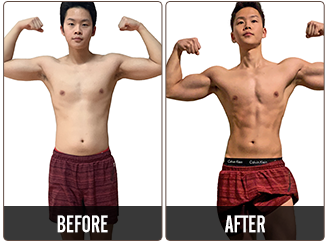 I never knew that supplements actually worked! Love the C4! Then the hard topic came around – FOOD. I love snacks and cookies, cakes and anything milk chocolate. Going to McDonald’s for a large French fry was the norm. Now I had to write down everything that I put in my mouth. It was an experiment that I do not want to repeat. Sam taught me about portion control and nutrition – even good fat is bad if too much is consumed. The analytic side of me took over. How much time of the treadmill will I have to spend to burn off the high fat, high carb and high sodium food that I was going to eat? There’s not enough time in the day! UGH! I had to start making deals with myself saying things like I dare you to drive by that McDonald’s or not eat that piece of birthday cake or that Chinese food that everybody else is having. My journey has not been all sunshine and rainbows. During the second month self-doubt started to creep in. I started to get overwhelmed with the process. There was a moment during a training session that I started crying for no reason. Once again, Sam my trainer put his hand on my shoulder and calmed me down – he looked right in my eyes and with a firm matter-of-fact voice said you can do this and I know you can and it’s going to be okay. During the same month I was introduced to Marquette. Marquette taught me about abs – yes they were under that large layer of fat. He was my switch hitter when Sam could not train me. An amazing trainer! He could be a motivational speaker. He knew how to motivate me to get the most work out of me. My abs still hurt thinking about the exercises. I depended on Sam and Marquette. We shared cell numbers and I kept them informed throughout the week. I sent them pictures of my food, cardio machine with the time and amount of calories burned, along with waking them up sharing my 5AM runs. They always responded with words of encouragement. They were a part of my support team. By the last month other trainers recognized me, the front desk staff knew me and the ladies at the spa knew who to spell my last name so I could sign in to use the Self Spa. The Alexandria club became my Cheers where everyone knows my name and everyone is so friendly. It has been an amazing experience. The transformation of the 100 day Get Fit Challenge is not only about your body and the reality is it is mostly about your mental and spiritual strength. 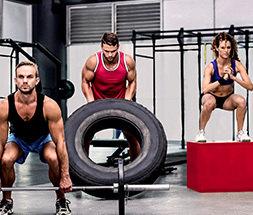 Join XSport Fitness, get your support team together – especially your trainers, and start becoming the best you. "XSport fully empowered me to regain my health, brighten my future and inspire others." “Failure is not fatal, it is the courage to continue that counts.” Winston Churchill spoke those words long ago. I had no idea how deeply this would apply to me. Perhaps you will remember me as the Naperville Club finalist in the 2017 Get Fit Challenge. While I did well, I did not reach the goal of winning the grand prize. I felt that I had let down many amazing supportive people and I was overcome with disappointment. The previous results were announced close to the first anniversary of my Dad’s death and I found myself sliding into a deep depression. Not only did I feel defeated, I still confronted the heavy responsibilities of mentoring my younger brother and working long hours at two demanding jobs. Although I fully recognized that my Dad’s untimely death was directly related to poor eating habits and a lack of exercise, I found myself seeking comfort with food and slacking off on my workouts. It didn’t take long for my dedicated trainer and great friend, Drew Reinwald to corner me at the gym and motivated me to achieve several monumental goals. Together, we decided that I would enter the XSport Get Fit Challenge again; however, this time we focused not only on winning the grand prize, but also accomplishing the most important life changing goal for me. I wanted to get in shape and stay that way! This time, I set out to lose between 40 and 50 pounds, improve the overall tone of my body and celebrate my 30th birthday in excellent health! Drew and I compiled a list of supplements that played a crucial role for my success. During the competition, I used a combination of Dymatize Elite Whey Protein, Glutamine tablets, Hydroxycut Next Gen, and Opti-Mens multivitamin. The excellent selection of supplements at XSport combined with Drew’s expertise enabled me to increase energy, recover quickly and eliminate bloating. With my hectic schedule, I also found that in order to maintain a specific diet of protein and vegetables, I pre-prepared my meals. Having food during the week that was ready to go was essential to accomplishing my goals. I also joined the X-IT Interval training classes in addition to the private training sessions. Finally, I purchased a Polar A370 and the heart rate sensor in this device helped to maximize my workouts and focus on my goals. My momentum peaked as other XSport staff openly supported me! All of the components acting in harmony yielded amazing results! I have now lost 71 pounds which is equivalent to 38% total body weight lost. The Grand Prize would be invaluable in helping with the next challenges of my life, which include becoming the primary caregiver to my elderly grandfather as well as certifying as a Personal Trainer. Every moment of the Get Fit Challenge experience will always be in an invaluable part of helping to fill my roles and achieve my dreams! XSport fully empowered me to regain my health, brighten my future and inspire others. "I am healthy, and my confidence has skyrocketed." I entered the Get Fit Challenge weighing in at 173lbs. My goal was simple, to lose at least 35lbs so I could fit into my old clothes, and possibly be the winner of my club. In my early 20s, I weighed around 135lbs. The lowest I’ve weighed in the last decade was 145lbs. My family’s history of weight gain in their 30s has always worried me. As a 32-year old, full-time single mom, I was never great at eating right because I was always on the go, and would work out maybe 3-4 times a week. I was hoping to improve my lifestyle with this challenge. I had no idea how much my life was going to change. The plan was to train with Dennis once a week, do an X-IT class twice a week, and then cardio & boxing the other days. My Aunt Kelly (who is a personal trainer in Florida) helped me meal plan, changing my meals every 2 weeks. She is a cancer survivor, and has lost over 100lbs on her former weight loss journey. Between her and Dennis, I had the best support system you could imagine. Once I began meal prepping, things got serious. The weight began melting off, and I was eating 6 meals a day! Dennis also advised me on my supplements. I began with the BCAAs and the Super HD. I later switched to the Hydroxycut Elite. The supplements really helped me with energy and curbing my appetite. Soon, meal prepping and exercising became a way of life for me. I even stuck to it on my 2 week vacation to the Bahamas and Florida. I felt stronger and worked out harder every time. I also listened to my body and rested when I needed to. I was in it to win it! My new goal is to really work it these next couple days, win my club, and then the whole competition. I may even start competing since I’m down to 12% body fat. I have been saving for 2 years to buy us a home. The grand prize would help me achieve that, and would help cover her private school tuition. No matter what the outcome, I am a winner, and am eternally grateful that I entered this competition. I am healthy, and my confidence has skyrocketed. Thank you XSport! *You must agree with Information Covenant and Consent to Communicate Agreement before requesting free session. Some restrictions apply. One session per member. 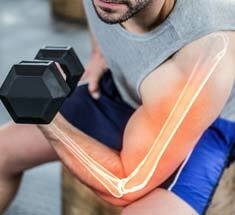 Must not have personal training sessions associated with XSport membership account at time of redemption. Subject to change.